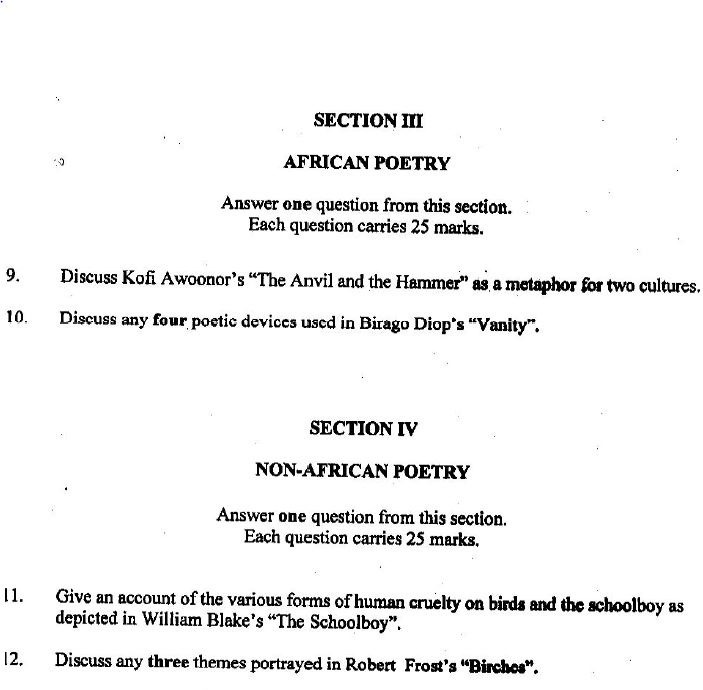 NECO GCE Literature in English Questions 2018 for Objective, Prose, Drama & Poetry is Out. See Neco GCE Lit-in-English answers 2018 here. The National Examination Council (NECO) General Certificate Examination (GCE) for Nov/Dec 2018 Literature-In-English paper III and IV will hold on Thursday 6th while paper II will be written on Friday, 7th November, 2018. 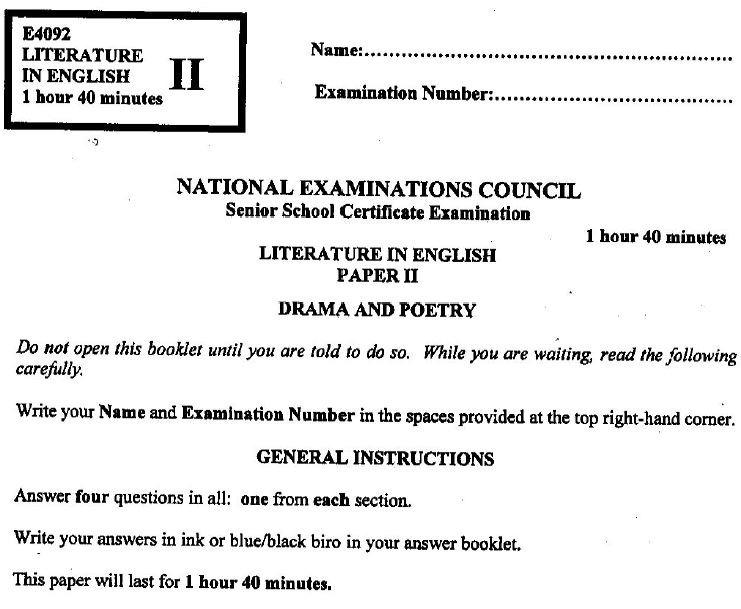 As you know, there are three papers in NECO Lit in English – Papers II, III and IV, all of which must be taken. Paper III & IV (Objective and Prose) is combined in a paper taken at one sitting from 2:00pm to 4:15pm while Paper II: Drama and Poetry will be taken from 3:30pm to 5:10pm. In this post, we will be posting the neco gce literature in english questions for candidates that will participate in the 2018 examination. 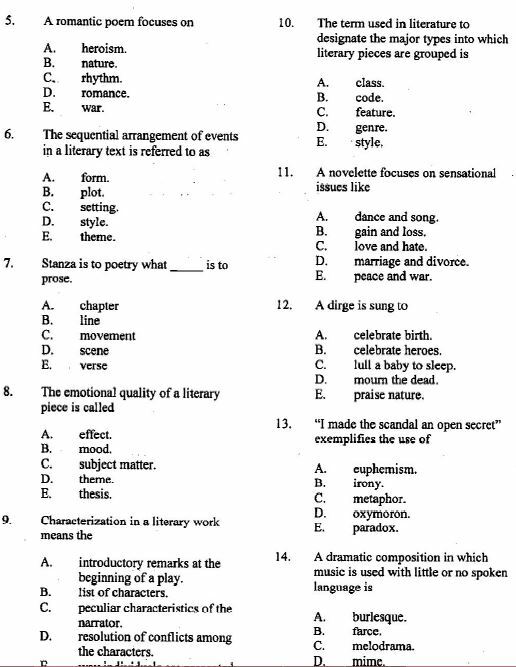 Note that below is the questions from Neco literature past questions and answers that we feel are likely questions for exam preparation. 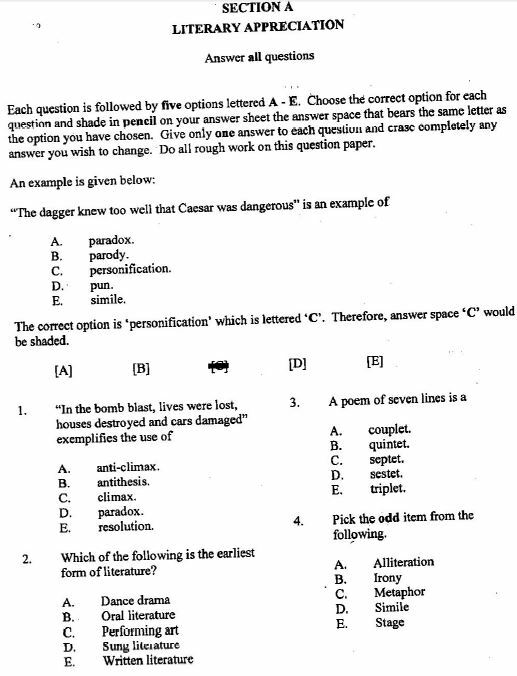 Paper III will be an objective exam. do not start paper IV until you are told to do so. Bringing GSM into the Examination Hall is PROHIBITED. THE ALBINOS AND BLIND CANDIDATES ARE TO BE GIVEN 15 MINUTES EXTRA TIME ACROSS ALL SUBJECTS.